I was given LeapFrog products in exchange for an honest review. I received no other compensation for this post. Post contains affiliate links. I recently posted a pic of Apollo using his LeapPad Platinum on Instagram and had a few people asked whether I prefer a tablet or LeapPad for children and why. My answer was getting too long to type on Instagram, so I thought I would write about it in detail here. LeapPads are designed for kids. 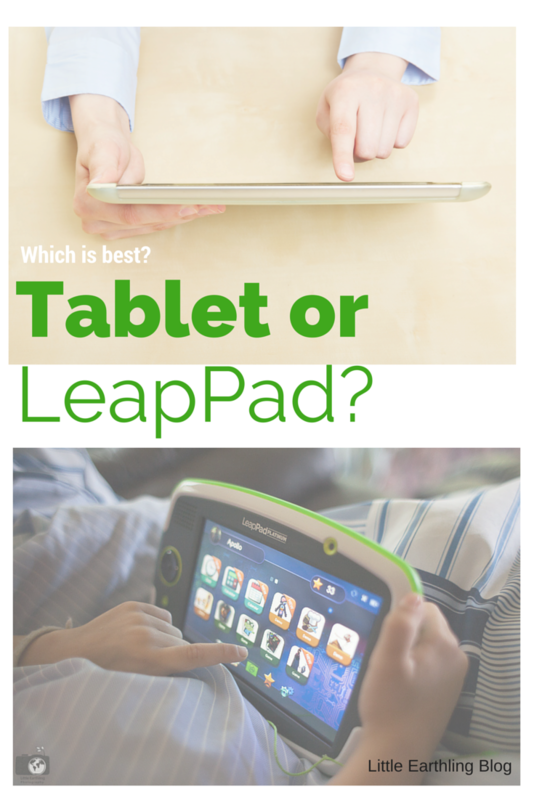 The designers at LeapFrog know their tablets are going to be dropped and maybe even thrown…and they are designed to withstand normal kids accidents. The LeapPad Platinum has a wrap around bumper and is impact-tested and had a shatter-safe screen. We have a few tablets in the house and none can boast those properties. Who hasn’t lived in utter fear of a shattered glass screen? 2. LeapPads are designed for kids. This might sound very basic, but when you give a child a tablet, it is a tool designed for adults. While the LeapPad can hook up to wifi, it has parental controls that allow you to manage the wifi, what apps are purchased, and control screen time! This isn’t something you need to add on or watch a tutorial to do, it is built right into the system. The web browser is safe and only shows kid-appropriate videos chosen by learning experts. No free reign of the internet with this tablet. For the record, we don’t hook ours up to wifi at all, but instead let the kids enjoy the huge range of learning games and videos on the LeapPad itself. 4. LeapPads are designed with learning in mind. Rather than being a tablet that you can add educational games onto, the LeapPad is an educational system. Since I have been working with LeapFrog for a few years, I have had the opportunity to actually speak with some of the educators behind the products, and I can tell you developing learning toys that help children grow their thinking skills, logic and education is the top priority for LeapFrog. 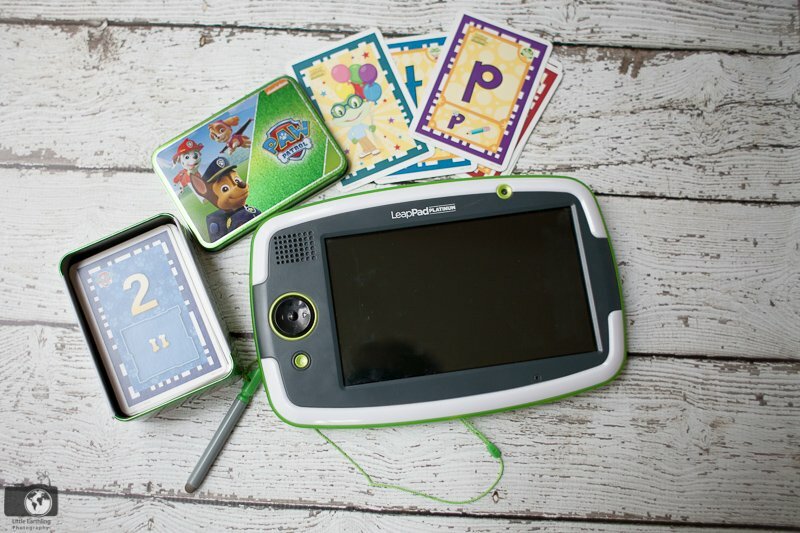 LeapFrog’s brand new LeapPad Platinum is going to be released on July 15th. Not only is the screen bigger (7 inches) and the processor faster on this version, they’ve created an entirely new way of gaming: Imagicards. 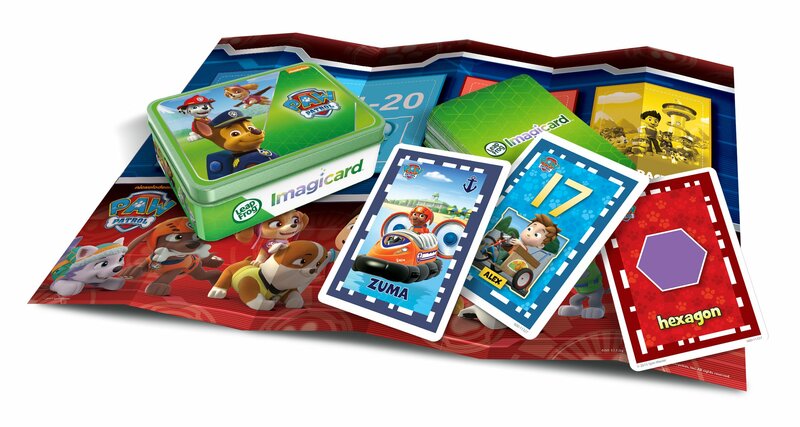 Imagicards are cards that extend the game into the real world. Kids take a picture of the cards with their LeapPad to activate new games. This has been one of the favorite activities for my kids. And don’t forget to sign up for LeapFrog Summer Camp! We have been doing this since 2012. LeapFrog Summer Camp is completely free and has activities, games, and printables to keep your kids learning through the summer and combat learning loss. Losing skills over the summer is very common (and the reason Avi attends summer school every year). My kids also continue with math drills every morning. You can read about some of our LeapFrog Summer Camp activities we’ve done in the past here and here. If you are a busy mom or don’t have hours to scour Pinterest, sign up for LeapFrog Summer camp for easy, fun, themed activities each week. What age is this for, I have an 11 yrs old boy begging me for a tablet. We’re been kind of “anti-tech” we had a Wii and enjoyed it, tool the kids kept fighting over it. My hubby sold it. 2 of my boys like RC planes so they have a simulator program. They do play some games on old phones, but I’d of course rather them do educational things….Thanks. LeapPads are designed for kids up to age 12. I think it would depend on what exactly your boys are wanting and expecting out of a tablet. 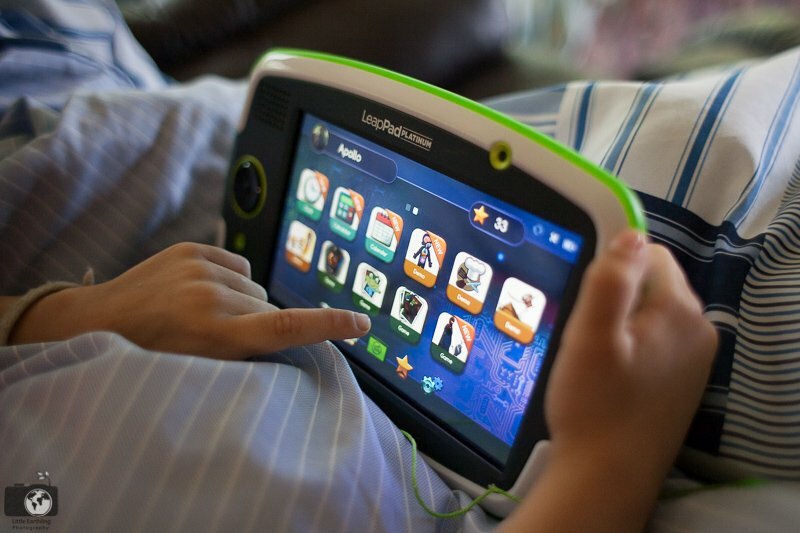 Our kids won’t have traditional tablets at all….so if they are just wanting games, it might satisfy them. As a Dane, I’m a bit curious about the concept of summer school. Would you mind explaining a bit about how it works? Does she go every day? All summer? Is it like “traditional” school or more like camp, with educational activities thrown into it? Summer school in our district is only offered to kids who struggle academically. Avi gets special services at school, so she qualifies. Summer school is only 3 hours per day. It is a very small group, and they still get recess and lunch, so it a short day that is definitely more “fun” than regular school. She is really enjoying it this year. THanks for doing this review.I am intrigued as its hard with 1 iPad and several kids of different ages. I was one of the friends asking on IG, so I thank you for the blog post. Our iPad is similar in some of the things you pointed out. I think we have had this tablet for 6 years no joke. It has a case/protective thingy that basically looks like a car tire. It has been thrown(hard), stomped on, banged etc…will no ill effects. My kids don’t have access to the Internet on our iPad. Also they can’t buy apps as we have a password that i rarely remember on it. All of our apps are kid apps. That being said I am still intrigued by this and may get one for Noah. Thanks for the review!